There was a tiny little creature swimming in the flooded pool by the river bank. I was intrigued – and when I went to look at this itty bitty creature to figure out what it was, I realized with a bit of surprise that it was a tadpole. I had never seen one so SMALL before. Then I realized something AMAZING. This critter that wasn’t bigger than the tip of my pinky finger and only had a body and a whip of a tail – would soon COMPLETELY transform. It would sprout legs, lose its tail, and eventually morph into a full grown frog. I’m not sure that a tadpole is self-aware enough to wonder what it will be like when it grows up. But if it did, it might be filled with a sense of wonder that it could transform so much in such a short period of time. On the other hand, it might be filled with self-doubt and question if it will EVER become a frog. It might even feel like an imposter. As an entrepreneur and business coach it’s pretty easy to fall into this feeling of “Will I ever be as good as the other guys or gals” or “I’ll have made it when I get to XYZ”. In other words, it’s easy to feel like an imposter or like you don’t quite have it all together. It’s something I deal with in my own head sometimes, and so does nearly every other entrepreneur that I know. But there are good ways to manage this fear of not being good enough, not knowing enough, or of not being sure in yourself and your abilities. Because you don’t want that to stop you from reaching your dreams. 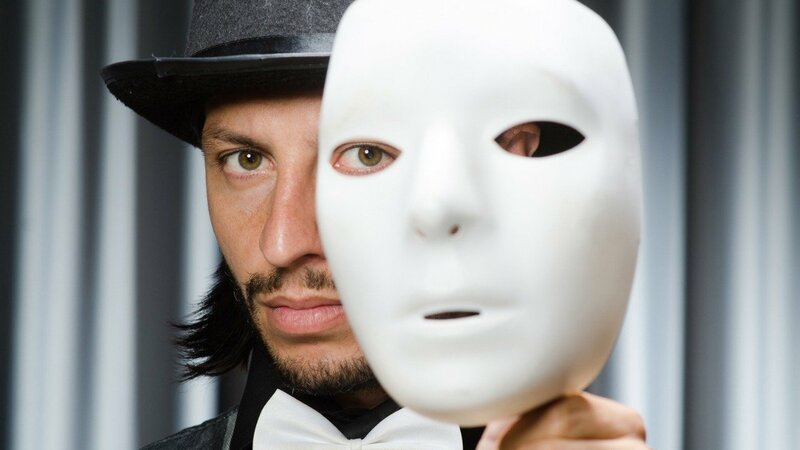 Let’s look at five things you can do starting right now to overcome imposter syndrme and have more confidence in you and your business. Our media likes to pretend that people are “instant successes”. It’s a lot sexier than saying that somebody took 10 years of grinding away and learning a specific skill set and then finally broke through into success. But the latter is actually a lot more common than the former. Even if the media pretends otherwise. This particularly struck me when I was reading the Sam Walton autobiography “Made in America”. Most business people know that Sam Walton is the founder of Sam’s Club and Walmart. But what they don’t know is that he developed the skills to build those companies when he was running a five and dime store that had been financed by his father-in-law. It took him about a decade to develop the first Walmart concept. If you start reading books about business leaders, you see the same basic story over and over and over again. Steve Jobs, the brilliant founder of Apple products, was even kicked out of his company for a period of time. Because he didn’t know how to play nice with others. The news usually only features the best or the worst of an entrepreneur’s life. All the stuff that leads up to those moments is boring, but it’s the work before those moments that give the breakthroughs. So if you feel like an imposter, one of the best pieces of advice I can give you is to just keep going. Keep putting one foot in front of the other. Keep working on that skill set, and remember that you have to believe in yourself more than anything else. Have you ever tried something new and had your mind start chattering at you? It might say something like, “you’re not good enough” or “there’s no way you ever be able to do this” or “you have the skill sets for this”. Buddhists call this chatter “monkey mind”. These are the thoughts that rise and bubble up from your subconscious, with the goal of keeping you safe and secure. But they can also really hold you back. It’s important to remember that monkey mind thoughts are just that – thoughts. They don’t reflect who you actually are. The next step is going to give you a technique to deal with those monkey mind thoughts and help to quiet them down. There are several ways to overcome the chattering in your brain. One of the most important ones is to get away from every bit of electronics for a solid block of least three or four hours a week. And a full day or a solid half-day is even better. This means turning off your phone, turning off your computer, and turning off your TV or tablets. By getting away from electronics, you will increase your happiness and calm your mind. Getting outside helps as well. Studies have shown that when you get out into nature your brain starts to calm down. Another technique that really helps is meditation. I know that to some people meditation sounds really crazy, but it can be very simple. You sit in a chair with your feet on the ground and set a timer for five minutes, and during this five minutes, you focus on your breath. If your mind wanders gently bring it back to your breath. This practice strengthens your ability to redirect your thoughts and focus. Being still, getting rid of electronics, and taking time to do things you enjoy, can really help quiet the chatter in your brain that’s telling you that you aren’t good enough. While there are a few megalomaniacs in the world, most people who achieve great levels of success are actually very insecure at least part of the time. I figure that if these people, who clearly have massive success, feel insecure and like they are impostures sometimes, that is okay if I do too. Recognizing that this feeling is incredibly common, can help you to acknowledge it and keep moving on anyway. A lot of people think that success and the courage it takes to get there are fixed attributes. But nothing could be further from the truth. Facing each day with courage, no matter what your mind is telling you, is a practice. Just like practicing the guitar to be able to play your favorite rock song, or practicing golf to lower your score, you can practice courage. To get past the imposter syndrome it often takes a great deal of courage and strength. But thankfully these two things aren’t fixed. Every time that you get up in the morning and do what you need to do to make your business work, you are practicing courage and strength. And the more you practice the better you’ll get at it. So your courage and strength will grow over time. Making it easier and easier to ignore those voices in your head. Imposter syndrome is a real thing, and most of us that are forging out on own and not taking the “normal” path feel this. Some of us feel it often, and for some of us, it is only on occasion. By knowing how to handle these emotions and thoughts, you can look them in the eye and move forward anyway.